We open with Mike being wheeled into the hospital, and I hope this doesn’t sound horrible, but I’m hoping the prognosis is negative. Knowing the show is ending, there’s no reason to keep Mike alive, and it would be a posthumous score for Mark. Michael Ealy is just scary good. When we see him, he’s sitting with a gun to his head in panic mode, nearly crying. This is a man so cold that he killed his mentor, his wife, and left his kids to die. But Penny was his rock; the only person who kept him somewhat human. Without her, he appears to have lost it… and then… its over. He’s back. He’s cold. “I know what I have to do,” he tells Daisy. He surprises Eliza (Annet Mahendru), and demands some goons to fulfill his promise of a dead Ryan. Theo’s attack on the people Ryan cares for starts in upstate NY, with recently retired Agent Mendez (Valerie Cruz) and her family. The look on his face when he tells her he wants “the whole family” is chilling. Hardy figures the plan out, but before anything can happen, Eliza calls with a change of plans. This throws Theo into a tizzy and you can see any stability quickly leaving him. Hardy shows up alone (backup to come) and tells Daisy that she is free if she kills Mendez and her family. Daisy, of course, fails miserably at this. As the backup pulls up, Theo and Daisy flee in opposite directions. Max gives chase on Daisy, and for the second straight week a season long villain is killed off in a quick shootout, with little satisfaction. Granted, Daisy ran her course weeks ago as a character, but I expected a little more than a chase through the woods, and a quick turn and shoot! As Ryan chases Theo through the woods, Agent ex machina drives by and gives Theo a presumed exit. I love the juxtaposition of the last scene as Gwen (Zuleikha Robinson) leaves Ryan a voicemail (including the baby’s heartbeat), as Ryan tries to get medical attention for the downed agent, all as Theo creeps up… to end hour one of The Following. I’m not going to lie. This is the last episode ever, and I will not be happy if I don’t get one last Joe Carroll appearance. Ryan gave ghost-Joe the “Thanks I got this” shrug last week, and now he’s been absent the whole first hour, and the bad guys are dropping off in unceremonious anticlimactic ways. Without Penny, Theo doesn’t need Eliza’s promises of a clean slate and free future. He wants the instant gratification of killing Ryan himself. He tortures Ryan, and promises mean things for Gwen, but just then Eliza and her goons come in guns out to prevent further chaos. They drag Theo away as she reveals they had Hardy tagged. She calls her mysterious contact and it is revealed to be Agent Lisa Campbell (Diane Neal)! NOW! Another new bad guy! With 40 minutes left in the series finale! Come on! The threat to Gwen seems to have broken Ryan. Where earlier he promised to leave the Bureau, now he seems to understand he’ll never be out, and there will always be a threat or a target. Before he can get there, Theo uses Campbell to distract Gwen’s protective agents, and then shoots all three before leaving with Gwen. It all climaxes on a bridge, with Theo holding Gwen at gunpoint while facing down Ryan. Ryan takes the hero shot and they both end up tumbling over the bridge. Presumed dead, Hardy’s loved ones move on, Mike is getting better, Max loves him, and they’ll be there for Gwen. A man acting homeless walks through the hospital and into Agent Campbell’s room. It’s Ryan. His “death” was necessary to avail him to go after Eliza and her crew of one percenter serial killers. The music and the Usual Suspects-style ending make a decent send-off. When I first heard The Following was cancelled I was upset. But after sitting through the last few post-Joe episodes, I am fully content with seeing it ride off into the TV sunset to kill serial killers off screen. This season, while ripe with potential, fell victim to all the worst tropes of Superhero sequels: too many villains, too many subplots, annoying romantic entanglements, etc. Theo was a superior character. Michael Ealy was phenomenal and deserves just praise for being as cold as calculating as he was. Sam Underwood as Mark was also great, and his vengeance plot towards Mike for killing his mother should’ve been enough to get us through the first leg of the season. And of course Joe. In the little role he had, James Purefoy made due, and stole every scene. As absolutely ridiculous and contrary to the plot it may seem, they should just gone with it, had Hardy bust Joe out, and have them walk off together as vigilantes, with Ryan as Joe’s perfect follower. Their 3-year arc ended with the confession that Joe was the most important person in Ryan’s life, and he was dreaming of Joe teaching him to kill. It seems so silly now that they rushed to kill him off with 3 episodes left, only to unveil more meaningless villains. 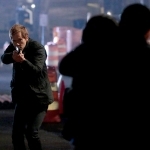 The Following was a terrific show full of crazy, horrific moments, and enduring characters. While the second half of this final season declined into the mundane, the show’s legacy will hopefully live on. 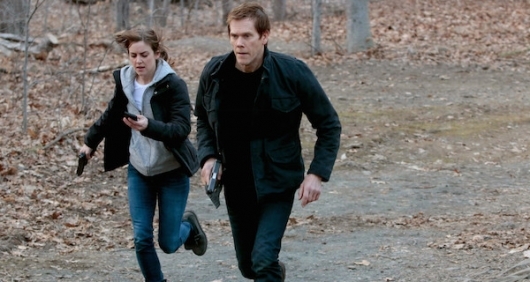 And since the show isn’t coming back, I’d definitely pay $10 to watch a 90 minute theater version of Kevin Bacon killing Eliza’s serial killers ala Liam Neeson in Taken. 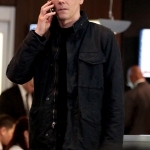 The Following 3×14 “Dead or Alive & 3×15 “The Reckoning” (Series Finale) – The FBI hunt for Theo continues and the stakes are higher than ever as some of their own come under attack. 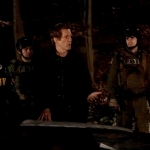 As suspicions rise, alliances are shaken and no one is safe in the harrowing final heart-stopping moments on the all-new, special two-hour ‘Dead or Alive/The Reckoning’ Series Finale episode of THE FOLLOWING airing Monday, May 18th on FOX.